Did you see Lincoln this weekend? It killed me, but I waited (not so patiently) so that I could see it this evening with my Columbus Emerging Museum Professionals (EMP) group friends. If you’re in the Columbus, Ohio area feel free to join us tonight! All of the details are on the Columbus EMP Facebook page. In my preparation for viewing the film, I’d like to share a blog post from Trevor Jones at the Kentucky Historical Society (KHS). Trevor is Director of Museum Collections and Exhibitions at KHS. His team is responsible for the cataloging, care, and display of over 120,000 historical artifacts at the museum center and two additional historic buildings. 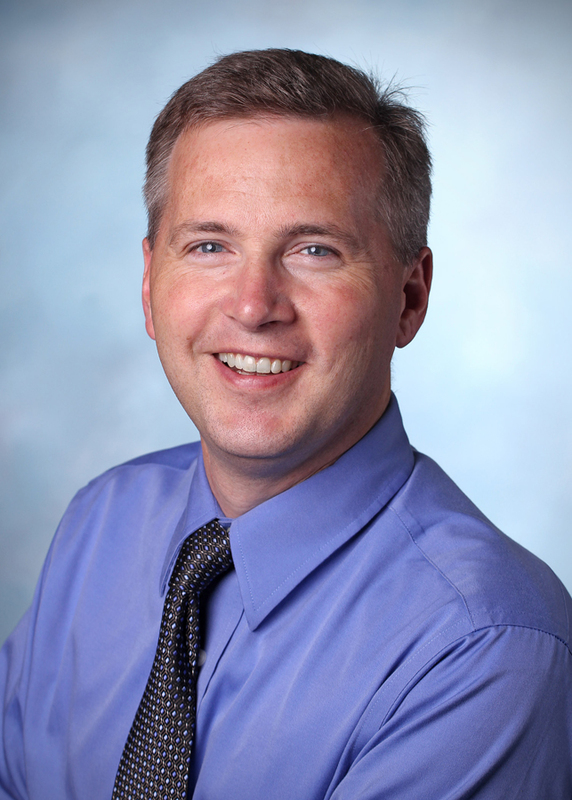 He holds BA degrees in history and German from Grinnell College and a MA degree in history and Certificate in Museum Studies from the University of Wisconsin-Milwaukee. He is a graduate of the Seminar for Historical Administration program and a past recipient of the American Association of Museums Global Curator Fellowship. So, why am I sharing a post from Trevor? Besides the fact that Trevor is a pretty smart (and cool) guy – KHS happens to have a pocket watch owned and worn by President Abraham Lincoln in their collections… a pocket watch that Academy Award-winning sound designer Ben Burtt actually used to record sounds for the film! Exciting stuff!! Trevor recently wrote a blog post about how this experience came about on History Burgoo, a mix of history, culture and other special ingredients, presented by KHS. Check out Trevor’s blog post below. In May I got a voicemail asking if the Kentucky Historical Society would be willing to allow recording of the ticking of Abraham Lincoln’s pocket watch for a film. We get a lot of research requests here but this was special – the caller was Academy Award-winning sound designer Ben Burtt and the film was “Lincoln” directed by Steven Spielberg starring Daniel Day-Lewis! I returned the call and got to talk to Burtt, which was pretty much heaven for a “Star Wars” nerd like me. Ben created the sound of lightsabers in “Star Wars” (and pretty much all the sounds in all the “Star Wars” movies)! Ben is a legend in the movie industry and helped create the modern sound design we now take for granted in films. Ben told me he was trying to make the sounds in “Lincoln” as authentic as possible. He traveled the country recording “sounds Lincoln may have heard.” He recorded the sound of bells from a church near Washington, D.C., the sound of Lincoln’s church pew and more. The last sound he needed for the film was the sound of one of Lincoln’s watches ticking. He knew KHS had a watch that Lincoln had once used, and wanted to know if we’d allow his team to record it and use it in the film. 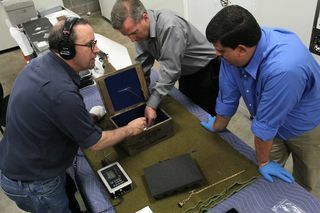 Here Greg (wearing headphones), Bill (blue shirt) and I are discussing the best position for the microphone on the watch inside KHS’s vault. Although I very much wanted to help, I was initially skeptical. Lincoln’s watch is an iconic artifact at KHS and is irreplaceable. (See it in the KHS Objects Catalog at http://bit.ly/Ulcy4y). I was concerned that winding it could cause damage and I wasn’t going to risk a signature artifact if it looked at all risky. I told Ben I’d call him back, and talked to Bill Bright, a curator at KHS and our resident watch expert. Bill pulled the watch off display, examined it carefully and consulted with other experts. He reported that the watch was mechanically in perfect working order and that he recommended a test. He wound the watch, and a perfectly regular ticking came forth. We were in business! I had several conversations with Ben to discuss flying the watch out to Skywalker Ranch to record the sound in one of their sound rooms, but the expense and risk of flying such a valuable artifact to California was too high. Instead, Greg Smith, one of Ben Burtt’s sound team, came to Frankfort to record the watch. We set up in the “vault” – the quietest and most secure room in the building – and began recording. Greg has worked on numerous films and had chosen his equipment carefully. I attached a small microphone to the watch while Bill positioned everything just right in a box to muffle ambient noise while Greg recorded. We recorded the watch open and closed in various ways until Greg pronounced that he had everything he needed. We were then sworn to secrecy, and told not to promote KHS’s small role in the project until we were given the go-ahead. This became increasingly difficult as Steven Spielberg traveled the country doing advance screenings and interviews – he has frequently mentioned the fact that the film used the sound of Lincoln’s actual watch! (see Spielberg’s 60 Minutes interview and his comments at a screening). In fact, if you listen carefully while watching the film’s trailer you’ll hear the sound of the watch ticking repeatedly throughout. If you want to see (and hear) Lincoln’s watch in person you can visit us here in Frankfort at the Thomas D. Clark Center for Kentucky History! Thanks to Trevor, and KHS, for allowing me to share your story on Museum Minute! What a great, unique way to connect people to the “real stuff” of history! To learn more about the historical sound effects used in Lincoln, click here. Interested in more Hollywood sound history? Check out this great blog post from Smithsonian.com on two of the most famous stock sounds in movies: the Wilhelm scream and the Howie. Can you think of other iconic historical sounds you’ve heard? What are your favorites? What historic objects have sounds that you’d like to hear? The Kentucky Historical Society (KHS) was formed in 1836 by a group of prominent Kentuckians intent on preserving the history of the commonwealth. It was chartered as the state society in 1838 and began to collect books and printed materials. The Society became an agency of Kentucky state government in the early 1950s. KHS, an agency of the Kentucky Tourism, Arts and Heritage Cabinet, has more than 3,300 members to whom it provides support and educational services. Outreach programs collaborate with more than 430 local historical organizations. KHS is administered by an executive committee, and supported by the KHS Foundation, a 501(c)(3) organization. Tags: Abraham Lincoln, Ben Burtt, Columbus Emerging Museum Professionals, Grinnell College, historical sound effects, History Burgoo, Kentucky Historical Society, Lincoln, museum collections and exhibitions, pocket watch, Seminar for Historical Administration, Smithsonian.com, the Howie, the Wilhelm scream, Trevor Jones, University of Wisconsin-Milwaukee. Bookmark the permalink.